***NOW UPDATED FOR MARCH 2019 - AUGUST 2020! 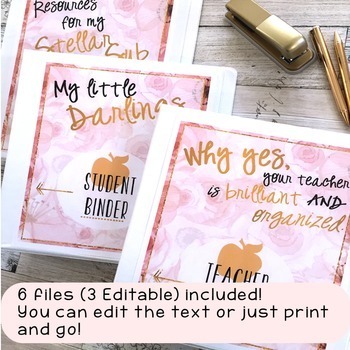 Editable Teacher Binder Bundle with Teacher, Student, & Substitute Binders! Updated Every Year!! 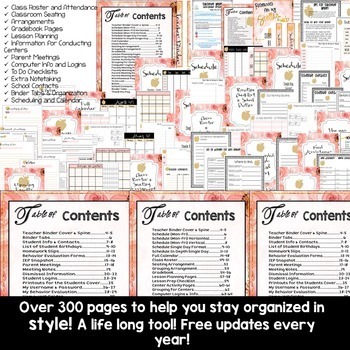 - This is a lifelong tool and will have free updates year after year! Printer-friendly design. No dark colors. They were designed to be used together to create the ultimate binder package! In this download you will find three folders. Each folder contains two files, an editable PowerPoint file and a PDF file of either the student, teacher, or substitute binder. 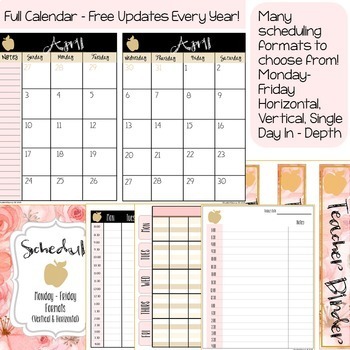 The Teacher Binder has a calendar that will be updated for you every year! You can either choose to write in it or type inside the PowerPoint file. You can also edit text, colors - anything you want! 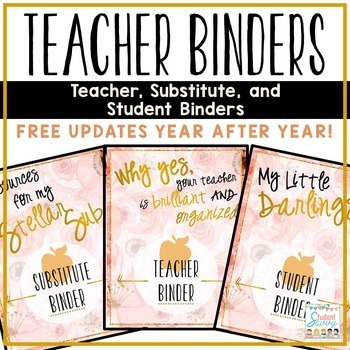 The Substitute Binder has everything your sub would need to navigate the classroom in a organized binder format - schedule pages, "how was your day" print outs, behavior management pages, activities for early finishers, etc. You can also edit the substitute binder in any way you'd like! The Student Binder contains printouts you frequently use with your students, such as homework folders, behavior evaluation forms, reading logs, while you were out sick, and much more! How Was Your Day in the Classroom?